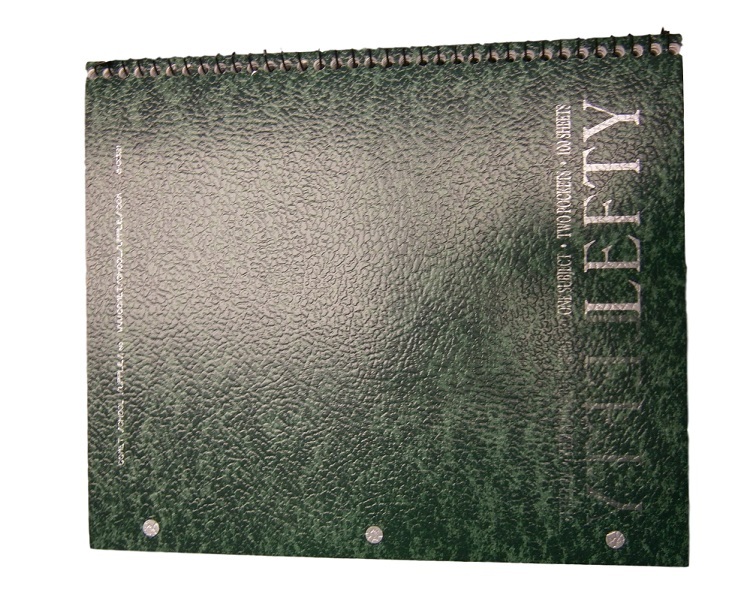 One subject notebook with college-ruled pages which are especially designed to help lefties. 100 sheets, opens left to right with the spiral on right side for left-handed writing convenience, holes punched on left side, perforated for easy tear sheets. Double pocket for extra storage. Proudly announces that this notebook is the property of a lefty in regular type and also in mirrored image.